Life Science White Papers are in-depth articles aimed to educate and inform site visitors interested in life science research. Some of these papers are derived from sources where we have existing commercial relationships. Such articles are clearly labelled as sponsored content and are only accepted when the content is deemed to add value to the core editorial ethos of News Medical. This article offers an overview aimed at selecting the right multicolor panels to carry out flow cytometry. Mesenchymal stem cell research was originally criticized but nowadays many clinical trials and publications heavily focus on multipotent cells. The following article presents more information about the most frequently used serotonergic neuron markers. Cellular membrane asymmetry loss is seen as an early sign of apoptosis, where phosphatidylserine (PS) residues embedded in the inner plasma membrane become externalized and signal phagocytosis. Below is a guide on how to choose the appropriate markers to label neuroepithelial cells. Below is a guide detailing how to choose markers for immature neurons and intermediate progenitors. When performing the characterization of mesenchymal stem cells, the culture conditions and cell identity are very important. This article discusses using automated DLS and SLS to probe the aggregation rate of tau protein. Multiplexed PBMC screening assays allow for high throughput multiparametric screening assays of simultaneous measurement T-cell activation. The F (ab) and F (ab') 2 secondary antibody fragments are of a high quality and are conjugated to HRP, AP and Alexa Fluor® dyes. 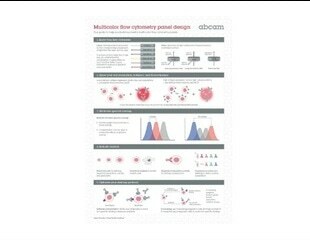 As the selectivity and the stable supply of polyclonal antibodies becomes an area of more concern, Abcam can provide solutions to allow researchers to continue to undertake accurate and consistent experiments. This article provides an alternative technique for the development of recombinant monoclonal antibodies and creating high-affinity binders against small molecules, difficult proteins, and toxins. Protein Kinase C (PKC), and its various isozymes, are regulatory proteins that modify the function of other proteins via phosphorlyation. Which Western Blot Method is Right for Your Application? Western blot methods have been around for 40 years and there are many different types that can be used. The right one must be selected for your application. ROR family includes receptor tyrosine kinases ROR1 and ROR2. ROR1 is of particular interest to the pharmaceutical community. A thermal shift assay can be used to analyze the stability of proteins by detecting protein melting temperatures. This article discusses scanning electron microscopy in dental studies. Gain success in your single cell RNA-Seq experiment with illuminating insights into thousands of individual cells’ genetic patterns. Anti-PEG rabbit monoclonal​ primary antibodies have been demonstrated to show enhanced binding and selectivity when compared to other Anti-PEG antibodies (e.g. Clone AGP3, Vendor A), in both sandwich and direct ELISA assays, for the quantification of PEG and PEG-modified proteins.